How do I find & select a Template? / FAQ / FAQs / How do I find & select a Template? Find and select a template for your form all within the CF7 Skins Template tab. 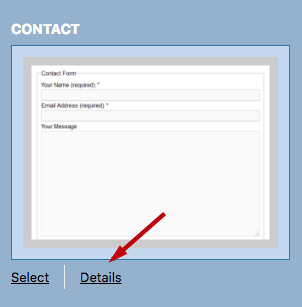 Select your Contact Form from the admin panel. Scroll down to the Skins section. Click the Template tab to begin exploring. Or, Search for a specific Template name. Below each template screenshot, click Details to learn more about it. 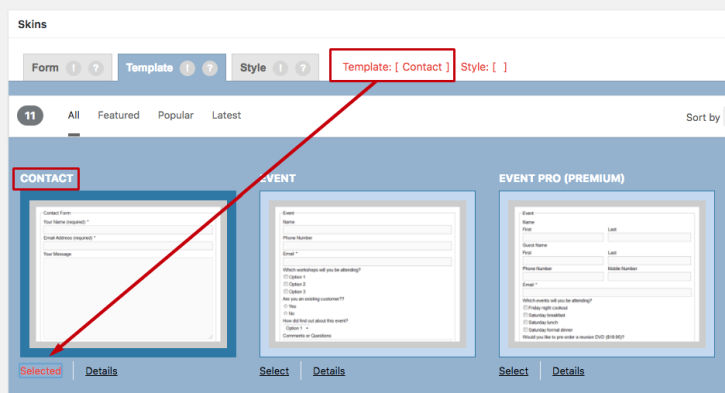 To choose a Template for your form, click Select. The template will now show as Selected and Template:[ ] will display the template name you chose. 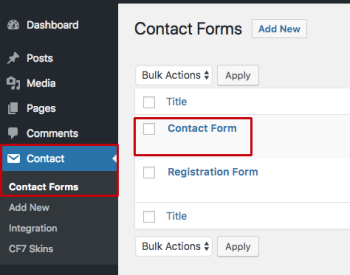 Once you select a Template, the Contact Form 7 form editor and the CF7 Skins Form tab will automatically update. 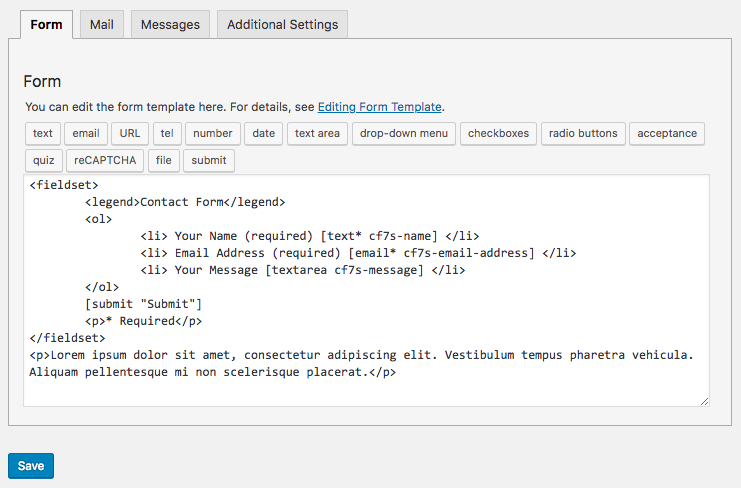 CF7 Skins Form tab showing the visual form editor for the Contact form template. 1. Click the Form tab. This tab shows the visual editor for your new form. 2. At the bottom, click Save Visual. Tip: Once you click Save Visual, any changes made in CF7 Skins (the Form, Template, and Style tabs) will be permanent. You only have to click Save Visual (no other save button) to save your changes. You can change your template at any time by revisiting the Template tab and selecting a new one. 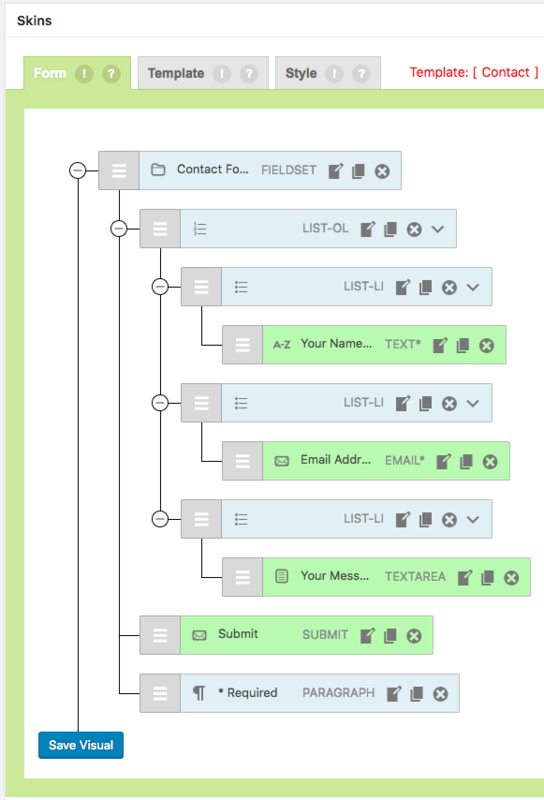 What is the Form tab? How do I edit my CF7 Skins Form? How do I preview what my form will look like?